Taking a neighborhood that has low assessed values for its properties, but it's surrounded by higher valued homes, there may be a property tax equalization factor involved. The astute real estate investor that locates a neighborhood that they believe is about to "take off", may find that the tax authorities have a property tax equalization factor in place. This is there to bring the assessed values more in line with surrounding areas. It's a simple calculation, in that there will be some assigned multiplier factor to apply to the properties. Assuming an area that the tax authorities believe is under-assessed in relation to surrounding areas, they might apply an equalization factor multiplier of 1.25 or a 25% increase. Since we're talking about equalization of values, let's look at the factors that contribute to and influence the value of real estate, in this case, a single family home. 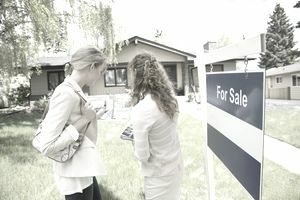 These are roughly in order of their importance in the decision-making process of a buyer, but that varies somewhat by the buyer. Neighborhood Characteristics - This could be considered a subset of location, but it's more than that. People want to drive through a neighborhood to see how their neighbors keep their homes and yards, how quiet or active it is and the amenities offered, like sidewalks, streetlights, etc. Home Size and Characteristics - A new family may be happy with a two bedroom home on the small side, especially if it's their first. A larger family may want one much larger, perhaps with a room for a home office as well. Large families like more bathrooms to avoid lines and morning crankiness. Older people usually want only single story homes. Features and Amenities - We're back to that gourmet kitchen. Or, it could be a large garage with workshop space. Some people get really excited about the yard, outdoor decks, pools, hot tubs, etc. Even things like coffered ceilings and lots of woodwork can make the difference. Price - This one moves around in the order because it's much more critical for some than others. Of course, everyone has a range, and they'll compare the price with how well the home meets their requirements in the areas above. Of course, all of the above apply to the rental home investor as well. But, now a couple more considerations come into play in their due diligence. If you're going to buy a home as a rental property, you definitely want to know if you can charge enough in rent to pay the mortgage, recoup your expenses and then have enough left for positive cash flow every month. A careful analysis of the rental market, competitive homes and some phone calls like you're a renter will do the trick. The day it's purchased the numbers are all figured out and the cash flow should be right. However, things change over time, homes age, and rents can't always go up. The real estate investor must evaluate how much money will be spent in the future for minor and major repairs and possibly equipment replacement.